KARA’s leader Gyuri will be releasing an OST single for SBS’s ”City Hunter“. It’s a project that’s close to her heart, since the drama features fellow member Hara in the cast as well. This new single will be Gyuri’s first opportunity to exhibit her talents as a solo singer. “I Only Look at You” is a ballad that includes a 24-piece orchestra and acoustic guitar. It will serve as the theme song for the female protagonist, Park Min Young. The song will be officially available on June 23rd (KST). Finally have a release date for Gyuri's solo. And it's only 2 days away. Earlier in the week we reported that KARA’s leader Gyuri would be releasing an OST single titled, “I Only Look at You” for SBS’s ”City Hunter“. Well, the track has finally been released! 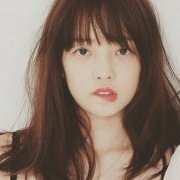 This project is very close to her heart, since the drama features fellow KARA member Goo Hara in the cast as well. This new single is Gyuri’s first opportunity to exhibit her talents as a solo singer. YAY!! !FINALLY OUR GODDESS GETS A SOLO!! !been looking forward to it for ages!! Its a project close to her heart ...Yeah GyulRa..! Cant wait..i've been following this drama N hara is so cute in this drama..LOLx..
Shinee Jonghyun also sings in City Hunter OSt HEHE JJongRi!! how is it sound for gyuri to sing a ballad solo..
...and Kara related articles of course! Big congrats to our Yeoshin! First she gotten the role for the musical for 200 pounds beauty, now this! So proud of her!! Ooh its a beautiful song that really showcased her vocal prowess! P.S. Thanks for sharing diskam! I have always seen Gyuri in the acting field for solo activities because I though she would not be enough good to go for solo singing. However this first solo song is great and made me change my mind. I want our goddess to shine more by herself because she deserves for recognization for her talent and this ballad song was a good idea to do it ! Great! i really liked this song! its so awsome! i hope Gyuri unni gets a big succes out of this! !1 good luck Gyuri unni!! Although I can't understand what she sings, I want to cry when I listen this song. What a sad ballad!! What a good voice!! i just read this now on allkpop, such a nice solo from gyuri. i love Gyul's solo song! plus she can hit the high note very well.. YES. I HEARD THIS 8) IT WAS BEAUTIFUL. 2days away from 22june means 24june! I haven't heard it yet but I am a big fan of City Hunter maybe will hear it soon on the drama! It's good song. Gyuri's voice is awesome. It's good opportunity to her to show singing opportunity. Generally we will listen only fast song that may not show all of their singing skill. Glad to listen your song my goddess. hope this & that (musical debut) will convince those who suspect she can't sing. thanks daniel!